The scope is the development of new mathematical tools for treating more complex and realistic financial models. Specifically, the focus is on local and stochastic volatility models and models with jumps for describing the evolution of stock price processes, LIBOR interest rates, and volatility surfaces. In the area of interest rates, after the financial crisis there is an emerging need for modeling multi-curve LIBOR models. Also FX LIBOR models are recently within the scope. To accomplish these goals new techniques in diverse mathematical fields such as the theory of Ito-Levy jump processes, non-stationary time series analysis, and ill-posed statistical inverse problems, are called for. For equity modeling, there is a new approach based on rough volatility. That is, (stochastic) volatility is modeled by a variety of the fractional Brownian motion with Hurst index less than ½. As only the volatility process, but not the price process itself is of fractional type, the resulting class of models do not violate the paradigm of no-arbitrage theory. Multivariate jump-diffusion extensions and stochastic volatility extensions of the EurIBOR market model are developed, implemented, and tested. It is shown that the extensions allow for flexible, systematic, and robust calibration to market quotes of "caps" and "swaptions" under incorporation of volatility "smile" and "skew" behavior. Highly accurate and efficient asymptotic formulas for prices of basket options are developed based on heat kernel expansions. These formulas are valid in a local volatility framework and offer surprisingly high precision over a wide range of strikes even in very high dimensions. These offer new possibilities for pricing, calibration and hedging. A rough stochastic volatility model (called "rough Bergomi model") was developed, which allows for precise matching of both implicit volatilities induced by the full range of put and call options and of realized variance time series data. As the first model of its kind, it even matches the implied volatility skew for very short maturities. At the same time, the model is very parsimonous and hence robust. Option prices can be computed by Monte Carlo simulation and by asymptotic pricing formulas. A perennial problem in the simulation of stochastic volatility Libor models and stochastic volatility asset price models such as the Heston model is the effective simulation of the square root process involved, also called the Cox--Ingersoll--Ross (CIR) diffusion process, Simulation of the CIR process is particularly difficult if the “volatility of volatility” parameter is so high that the Feller condition is violated. In this respect a novel simulation method is developed that applies regardless whether the Feller condition is violated or not. The corresponding simulation algorithm provides trajectories that are exact at random times and uniformly close to the exact ones at all times in between. Moreover, the method is developed such that it is applicable to rather general (one-dimensional) diffusions and is based on spectral series expansions connected with Sturm-Liouville problems. P. Pigato, Tube estimates for diffusion processes under a weak Hörmander condition, Annales de l'Institut Henri Poincare. Probabilites et Statistiques, 54 (2018), pp. 299--342, DOI 10.1214/16-AIHP805 . We consider a diffusion process under a local weak Hörmander condition on the coefficients. We find Gaussian estimates for the density in short time and exponential lower and upper bounds for the probability that the diffusion remains in a small tube around a deterministic trajectory (skeleton path). These bounds depend explicitly on the radius of the tube and on the energy of the skeleton path. We use a norm which reflects the non-isotropic structure of the problem, meaning that the diffusion propagates in R2 with different speeds in the directions ? and [?,b]. We establish a connection between this norm and the standard control distance. CH. Bayer, P. Friz, A. Gulisashvili, B. Horvath, B. Stemper, Short-time near-the-money skew in rough fractional volatility models, Quantitative Finance, published online on 13.11.2018, DOI 10.1080/14697688.2018.1529420 . We consider rough stochastic volatility models where the driving noise of volatility has fractional scaling, in the "rough" regime of Hurst parameter H < ½. This regime recently attracted a lot of attention both from the statistical and option pricing point of view. With focus on the latter, we sharpen the large deviation results of Forde-Zhang (2017) in a way that allows us to zoom-in around the money while maintaining full analytical tractability. More precisely, this amounts to proving higher order moderate deviation estimates, only recently introduced in the option pricing context. This in turn allows us to push the applicability range of known at-the-money skew approximation formulae from CLT type log-moneyness deviations of order t1/2 (recent works of Alòs, León & Vives and Fukasawa) to the wider moderate deviations regime. CH. Bayer, H. Mai, J.G.M. Schoenmakers, Forward-reverse expectation-maximization algorithm for Markov chains: Convergence and numerical analysis, Advances in Applied Probability, 2 (2018), pp. 621--644, DOI 10.1017/apr.2018.27 . We develop a forward-reverse expectation-maximization (FREM) algorithm for estimating parameters of a discrete-time Markov chain evolving through a certain measurable state-space. For the construction of the FREM method, we develop forward-reverse representations for Markov chains conditioned on a certain terminal state. We prove almost sure convergence of our algorithm for a Markov chain model with curved exponential family structure. On the numerical side, we carry out a complexity analysis of the forward-reverse algorithm by deriving its expected cost. Two application examples are discussed. We consider a stochastic model for the dynamics of the two-sided limit order book (LOB). For the joint dynamics of best bid and ask prices and the standing buy and sell volume densities, we derive a functional limit theorem, which states that our LOB model converges to a continuous-time limit when the order arrival rates tend to infinity, the impact of an individual order arrival on the book as well as the tick size tend to zero. The limits of the standing buy and sell volume densities are described by two linear stochastic partial differential equations, which are coupled with a two-dimensional reflected Brownian motion that is the limit of the best bid and ask price processes. G.N. Milstein, J.G.M. Schoenmakers, Uniform approximation of the CIR process via exact simulation at random times, Advances in Applied Probability, 48 (2016), pp. 1095--1116. In this paper we uniformly approximate the trajectories of the Cox-Ingersoll-Ross (CIR) process. At a sequence of random times the approximate trajectories will be even exact. In between, the approximation will be uniformly close to the exact trajectory. From a conceptual point of view the proposed method gives a better quality of approximation in a path-wise sense than standard, or even exact simulation of the CIR dynamics at some deterministic time grid. CH. Bayer, P. Friz, J. Gatheral, Pricing under rough volatility, Quantitative Finance, 16 (2016), pp. 887--904. From an analysis of the time series of volatility using recent high frequency data, Gatheral, Jaisson and Rosenbaum [SSRN 2509457, 2014] previously showed that log-volatility behaves essentially as a fractional Brownian motion with Hurst exponent H of order 0.1, at any reasonable time scale. The resulting Rough Fractional Stochastic Volatility (RFSV) model is remarkably consistent with financial time series data. We now show how the RFSV model can be used to price claims on both the underlying and integrated volatility. We analyze in detail a simple case of this model, the rBergomi model. In particular, we find that the rBergomi model fits the SPX volatility markedly better than conventional Markovian stochastic volatility models, and with fewer parameters. Finally, we show that actual SPX variance swap curves seem to be consistent with model forecasts, with particular dramatic examples from the weekend of the collapse of Lehman Brothers and the Flash Crash. The Doss-Sussmann (DS) approach is used for simulating the Cox-Ingersoll-Ross (CIR) process. The DS formalism allows for expressing trajectories of the CIR process by solutions of some ordinary differential equation (ODE) that depend on realizations of the Wiener process involved. Via simulating the first-passage times of the increments of the Wiener process to the boundary of an interval and solving an ODE, we approximately construct the trajectories of the CIR process. From a conceptual point of view the proposed method may be considered as an exact simulation approach. J.D. Deuschel, P. Friz, A. Jacquier, S. Violante , Marginal density expansions for diffusions and stochastic volatility: Part I, Communications on Pure and Applied Mathematics, 67 (2014), pp. 40--82. J.D. Deuschel, P. Friz, A. Jacquier, S. Violante , Marginal density expansions for diffusions and stochastic volatility: Part II, Communications on Pure and Applied Mathematics, 67 (2014), pp. 321--350. CH. Bayer, B. Veliyev, Utility maximization in a binomial model with transaction costs: A duality approach based on the shadow price process, International Journal of Theoretical and Applied Finance, 17 (2014), pp. 1450022/1--1450022/27. CH. Bayer, P. Laurence, Asymptotics beats Monte Carlo: The case of correlated local vol baskets, Communications on Pure and Applied Mathematics, 67 (2014), pp. 1618--1657. CH. Bayer, J.G.M. Schoenmakers, Simulation of forward-reverse stochastic representations for conditional diffusions, The Annals of Applied Probability, 24 (2014), pp. 1994--2032. 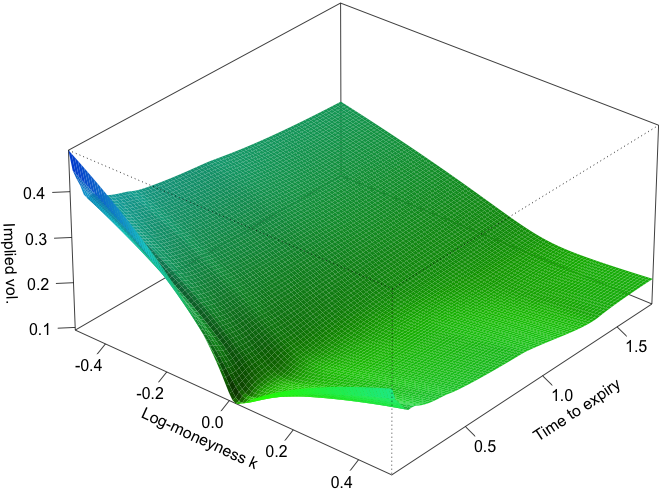 In this paper we derive stochastic representations for the finite dimensional distributions of a multidimensional diffusion on a fixed time interval, conditioned on the terminal state. The conditioning can be with respect to a fixed point or more generally with respect to some subset. The representations rely on a reverse process connected with the given (forward) diffusion as introduced in Milstein et al. [Bernoulli, 10(2):281-312, 2004] in the context of a forward-reverse transition density estimator. The corresponding Monte Carlo estimators have essentially root-N accuracy, hence they do not suffer from the curse of dimensionality. We provide a detailed convergence analysis and give a numerical example involving the realized variance in a stochastic volatility asset model conditioned on a fixed terminal value of the asset. M. Beiglboeck, P. Friz, S. Sturm, Is the minimum value of an option on variance generated by local volatility?, SIAM Journal on Financial Mathematics, ISSN 1945-497X, 2 (2011), pp. 213--220. P. Imkeller, A. Réveillac, J. Zhang, Solvability and numerical simulation of BSDEs related to BSPDEs with applications to utility maximization, International Journal of Theoretical and Applied Finance, 14 (2011), pp. 635--667. A. Weiss, Escaping the Brownian stalkers, Electronic Journal of Probability, 14 (2009), pp. 139-160. V. Krätschmer, Compactness in spaces of inner regular measures and a general Portmanteau lemma, Journal of Mathematical Analysis and Applications, 351 (2009), pp. 792--803. P. Pigato, Asymptotic analysis of rough volatility models, Probability Seminar, L'Università di Milano-Bicocca, Dipartimento di Matematica e Applicazioni, Italy, July 13, 2018. P. Pigato, Asymptotic analysis of rough volatility models, Seminar of the Research Training Group 2131, Ruhr-Universität Bochum, Research Training Group 2131, June 25, 2018. P. Pigato, Density and tube estimates for diffusion processes under Hormander-type conditions, Séminaire (de calcul) stochastique, Université de Strasbourg, Institut de recherche mathématique avancée), France, November 23, 2018. P. Pigato, Faits stilisés et modelisation de la volatilité, École Polytechnique, Palaiseau, France, April 20, 2018. P. Pigato, Faits stilisés et modelisation de la volatilitë, Seminaire, Institut de Science Financière et d'Assurances - Université Lyon 1, France, May 14, 2018. P. Pigato, Precise asymptotics of rough stochastic volatility models, University of Trento, Department of Mathematics, November 16, 2018. P. Pigato, Short dated option pricing under rough volatility, Berlin-Paris Young Researchers Workshop Stochastic Analysis with applications in Biology and Finance, May 2 - 4, 2018, Institut des Systèmes Complexes de Paris Ile-de-France (ISC-PIF), National Center for Scientific Research, Paris, France, May 4, 2018. CH. Bayer, Shortime near-the-money skew in rough fractional volatility models, 9-th International Workshop on Applied Probability, June 18 - 21, 2018, Eörvös Loránd University (ELU), Budapest, Hungary, June 19, 2018. CH. Bayer, Rough volatility models in finance, 19th International Congress of the ÖMG and Annual DMV Meeting, 6th Austrian Stochastics Days, September 11 - 15, 2017, Austrian Mathematical Society (ÖMG) and Deutsche Mathematiker-Vereinigung (DMV), Paris-Lodron University of Salzburg, Austria, September 13, 2017. CH. Bayer, Rough volatility models in finance, AMCS Seminar, King Abdullah University of Science and Technology (KAUST), Computer, Electrical and Mathematical Sciences & Engineering Division, Thuwal, Saudi Arabia, October 25, 2017. CH. Bayer, Smoothing the payoff for efficient computation of basket option prices, Workshop ``Mathematics of Quantitative Finance'', February 26 - March 4, 2017, Mathematisches Forschungsinstitut Oberwolfach, February 27, 2017. CH. Bayer, Smoothing the payoff for efficient computation of basket options, Workshop on Recent Developments in Numerical Methods with Applications in Statistics and Finance, June 8 - 9, 2017, University of Mannheim, Graduate School of Economics and Social Sciences, June 9, 2017. CH. Bayer, Smoothing the payoff for efficient computation of basket options, Conference on Mathematical Modelling in Finance 2017, August 30 - September 2, 2017, Imperial College London, UK, September 2, 2017. J.G.M. Schoenmakers, Projective simulation and regression methods for Mckean--Vlasov SDE systems, Mathematisches Kolloquium, Universität Duisburg-Essen, Fakultät für Mathematik, November 29, 2017. CH. Bayer, Pricing under rough volatility, Statistics for Differential Equations driven by Rough Paths, September 7 - 8, 2016, University of Warwick, Centre for Research in Statistical Methodology, Coventry, UK, September 7, 2016. CH. Bayer, Pricing under rough volatility, Vienna Congress on Mathematical Finance -- VCMF 2016, September 12 - 14, 2016, Vienna University of Economics and Business, Austria, September 12, 2016. CH. Bayer, Pricing under rough volatility, Czech, Slovenian, Austrian, Slovak and Catalan Mathematical Societies Joint Meeting 2016, September 20 - 23, 2016, Societat Catalana de Matemàtiques, Institut d'Estudis Catalans, Barcelona, Spain, September 20, 2016. CH. Bayer, Short dated option prices under rough volatility, Rough Volatility Meeting, October 7 - 8, 2016, Imperial College London, Department of Mathmatics, UK, October 7, 2016. J.G.M. Schoenmakers, Financial Mathematics, The 9th Summer School in Financial Mathematics 2016, February 18 - 20, 2016, African Institute for Mathematical Sciences South Africa (AIMS), Cape Town. J.G.M. Schoenmakers, Uniform approximation methods for the C.I.R. process, Stochastic Seminar, Charles University, Prague, Czech Republic, April 6, 2016. J.G.M. Schoenmakers, Uniform approximation of the Cox--Ingersoll--Ross process, Frontiers in Stochastic Modelling for Finance, February 2 - 6, 2016, Università degli Studi di Padova, Padua, Italy, February 5, 2016. CH. Bayer, Asymptotics beats Monte Carlo: The case of correlated local vol baskets, Groupe de Travail: Finance Mathématique, Probabilités Numériques et Statistique des Processus, Université Paris Diderot, Laboratoire de Probabilités et Modèles Aléatoires, France, February 19, 2015. CH. Bayer, Pricing under rough volatility, Berlin-Princeton-Singapore Workshop on Quantitative Finance, June 29 - July 1, 2015, National University of Singapore, Centre for Quantitative Finance, Singapore, June 29, 2015. CH. Bayer, Pricing under rough volatility, 38th Conference on Stochastic Processes and their Applications, July 13 - 17, 2015, University of Oxford, Oxford-Man Institute of Quantitative Finance, UK, July 15, 2015. CH. Bayer, Pricing under rough volatility, Finanzmathematik, University of Vienna, Faculty of Mathematics, Austria, November 26, 2015. CH. Bayer, Rough volatility, 3rd Annual ERC Berlin-Oxford Young Researchers Meeting on Applied Stochastic Analysis, January 27 - 29, 2015, WIAS Berlin, January 29, 2015. CH. Bayer, Asymptotics beats Monte Carlo: The case of correlated local vol baskets, International Workshop ``Advances in Optimization and Statistics'', May 15 - 16, 2014, Russian Academy of Sciences, Institute of Information Transmission Problems (Kharkevich Institute), Moscow, May 16, 2014. CH. Bayer, Asymptotics beats Monte Carlo: The case of correlated local vol baskets, First Berlin-Singapore Workshop on Quantitative Finance and Financial Risk, May 21 - 24, 2014, WIAS-Berlin und Humboldt-Universität zu Berlin, May 21, 2014. CH. Bayer, Asymptotics beats Monte Carlo: The case of correlated local vol baskets, Workshop on Stochastic and Quantitative Finance, November 28 - 29, 2014, Imperial College London, UK, November 29, 2014. CH. Bayer, Asymptotics beats Monte Carlo: The case of correleated local vol baskets, Stochastic Analysis Seminar Series, Oxford-Man Institute, UK, January 27, 2014. CH. Bayer, Asymptotics beats Monte Carlo: The case of correlated local volatility baskets, Stochastik-Seminar, Universität Heidelberg, Institut für angewandte Mathematik, June 18, 2013. CH. Bayer, Asymptotics beats Monte Carlo: The case of correlated local volatility baskets, Seminar Finanzmathematik, Universität Wien, Austria, November 28, 2013. J.G.M. Schoenmakers, Simulation of conditional diffusions via forward-reverse stochastic representations, DynStoch 2013, April 17 - 19, 2013, University of Copenhagen, Department of Mathematical Sciences, Denmark, April 19, 2013. J.G.M. Schoenmakers, Simulation of conditional diffusions via forward-reverse stochastic representations, PreMoLab Workshop on: Advances in predictive modeling and optimization, May 16 - 17, 2013, WIAS-Berlin, May 16, 2013. CH. Bayer, Asymptotics beats Monte Carlo: The case of correlated local vol baskets, Applied Mathematics and Computational Science Seminar, King Abdullah University of Science and Technology, Saudi Arabia, December 5, 2012. CH. Bayer, Some applications of the Ninomiya--Victoir scheme in the context of financial engineering, Talks in Financial and Insurance Mathematics, Eidgenössische Technische Hochschule Zürich, Switzerland, April 26, 2012. CH. Bayer, Some applications of the Ninomiya--Victoir scheme in the context of financial engineering, Stochastic Analysis Seminar Series, Oxford University, Oxford-Man Institute of Quantitative Finance, UK, May 21, 2012. H. Mai, Drift estimation for jump diffusion, Haindorf Seminar 2012 (Klausurtagung des SFB 649), February 9 - 12, 2012, Humboldt-Universität zu Berlin, Wirtschaftswissenschaftliche Fakultät, Hejnice, Czech Republic, February 10, 2012. H. Mai, Parametric and nonparametric estimation for stochastic volatility models with jumps, 10th German Probalility and Statistic Days 2012, March 6 - 9, 2012, Johannes Gutenberg Universität Mainz, March 7, 2012. V. Krätschmer, Central limit theorems for law-invariant risk measures, Conference on ``Modeling and managing financial risks'', Université Paris VI, École Polytechnique, France, January 11, 2011. R.L. Loeffen, Two methods for pricing European options, Colloquia on Probability and Statistics 2011, University of Bern, Institute of Mathematical Statistics and Actuarial Science, Switzerland, May 5, 2011. R.L. Loeffen, Applying spectral representations for CBI processes to finance, Stochastic Networks and Related Topics III, May 22 - 25, 2011, Mathematical Research and Conference Center in Bedlewo, Poland, May 24, 2011. R.L. Loeffen, Option pricing in affine term structure models via spectral representations, Seminar in Mathematical Finance, Universität Wien, Fakultät für Mathematik, Austria, January 31, 2011. R.L. Loeffen, The Ornstein--Uhlenbeck type risk model: Absolute ruin and spectral representation, Talks in Actuarial Sciences, Université Libre de Bruxelles, Département de Mathématiques, Belgium, November 18, 2010. P. Mathé, Conjugate gradient iteration for statistical inverse problems, Rencontres de Statistiques Mathématiques 10, December 13 - 17, 2010, Centre International de Rencontres Mathématiques (CIRM), Luminy, France, December 15, 2010. P. Friz, Rough paths and the gap between deterministic and stochastic differential equations, Berlin Mathematical School, Friday Colloquium, December 18, 2009. J. Kampen, Holomorphic transforms with application to affine feller processess in finance, 5th World Congress, Bachelier Finance Society, July 16 - 19, 2008, Royal Geographical Institute, London, UK, July 18, 2008. A. Weiss, Limit order books and optimal portfolio liquidation, Summer School 2008 Pro$^*$Doc/IRTG Berlin-Zürich ``Stochastic Models of Complex Processes'', July 21 - 25, 2008, Disentis, Switzerland, July 22, 2008. A. Weiss, Escaping the Brownian stalkers, BRG Workshop on Stochastic Models from Biology and Physics, October 9 - 10, 2006, Johann Wolfgang Goethe-Universität Frankfurt, October 10, 2006. A. Weiss, Escaping the Brownian stalkers, 5th Prague Summer School 2006 "`Statistical Mathematical Mechanics"', September 10 - 23, 2006, Charles University, Center for Theoretical Study and Institute of Theoretical Computer Science, Prague, Czech Republic, September 20, 2006. CH. Bayer, P. Friz, P. Gassiat, J. Martin, B. Stemper , A regularity structure for rough volatility, Preprint no. arXiv:1710.07481, Cornell University Library, arXiv.org, 2017. A new paradigm recently emerged in financial modelling: rough (stochastic) volatility, first observed by Gatheral et al. 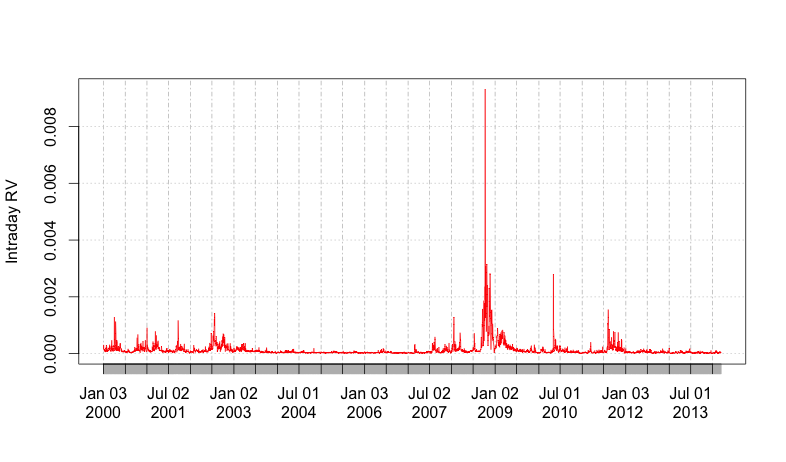 in high-frequency data, subsequently derived within market microstructure models, also turned out to capture parsimoniously key stylized facts of the entire implied volatility surface, including extreme skews that were thought to be outside the scope of stochastic volatility. On the mathematical side, Markovianity and, partially, semi-martingality are lost. 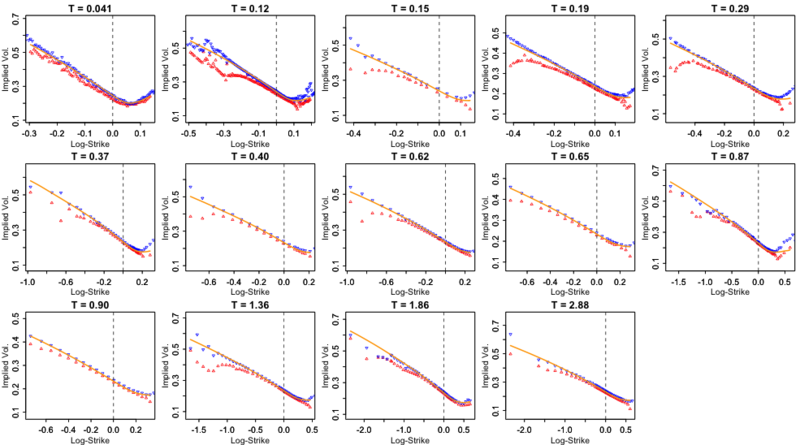 In this paper we show that Hairer's regularity structures, a major extension of rough path theory, which caused a revolution in the field of stochastic partial differential equations, also provides a new and powerful tool to analyze rough volatility models. We start by showing that the finite-time absolute ruin probability in the classical risk model with constant interest force can be expressed in terms of the transition probability of a positive Ornstein-Uhlenbeck type process, say X. Our methodology applies to the case when the dynamics of the aggregate claims process is a subordinator. From this expression, we easily deduce necessary and sufficient conditions for the infinite-time absolute ruin to occur. We proceed by showing that, under some technical conditions, the transition density of X admits a spectral type representation involving merely the limiting distribution of the process. As a by-product, we obtain a series expansions for the finite-time absolute ruin probability. On the way, we also derive, for the aforementioned risk process, the Laplace transform of the first-exit time from an interval from above. Finally, we illustrate our results by detailing some examples.